Like New, One Owner, Limited, NAVIGATION, LEATHER INTERIOR, SUNROOF, BLIND SPOT MONITOR, LANE DEPARTURE, ADAPTIVE CRUISE CONTROL, EYESIGHT, Only 47k Miles, CARFAX / AUTOCHECK and STATE CERTIFIED with BUYBACK GUARANTEE, Automatic, Loaded w/ Power Options, BLUETOOTH, HEATED FRONT & REAR SEATS, DUAL ZONE CLIMATE CONTROL, REAR CAMERA, Alloy Wheels, Still Under Fully Transferable Factory Drivetrain Warranty...The Subaru Outback is a top performer in its class, thanks to its standard all-wheel drive, spacious cabin and cargo bay, and good safety and reliability ratings. Its positive press reviews and lengthy list of safety features helped it win US NEWS' Best Wagon For Families Award for 2016. Its standard all-wheel drive provides excellent traction even in slippery conditions. Inside, there’s plenty of room for your whole clan and all your gear. 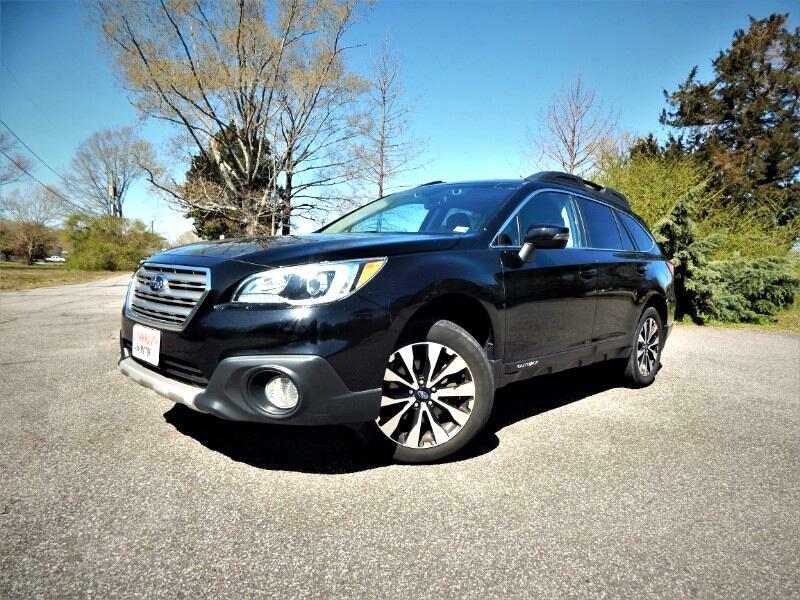 The Outback has an above-average reliability rating of 3.5 out of five from J.D. Power. This is a fun, loaded with options, reliable wagon to own, and we have it priced right! As with any other of our vehicles, you may have this one pre-inspected by your trusted mechanic prior to purchase. We strive to only keep high quality vehicles with low mileage offered at the most competitive price. We are a family run independent Dealership with over 30 years of experience serving families, and our low overhead translates to lower prices for our customers. Each of our pre-owned certified vehicles goes through a 108 point check and Virginia residents receive a brand new State Inspection. Visit us online at www.lynnhavenmotors.com to see more pictures of this vehicle, or call us at 757-425-9300 today to schedule your test drive.